Aaron Kushner told The Wall Street Journal that the Times might fit into his business model. 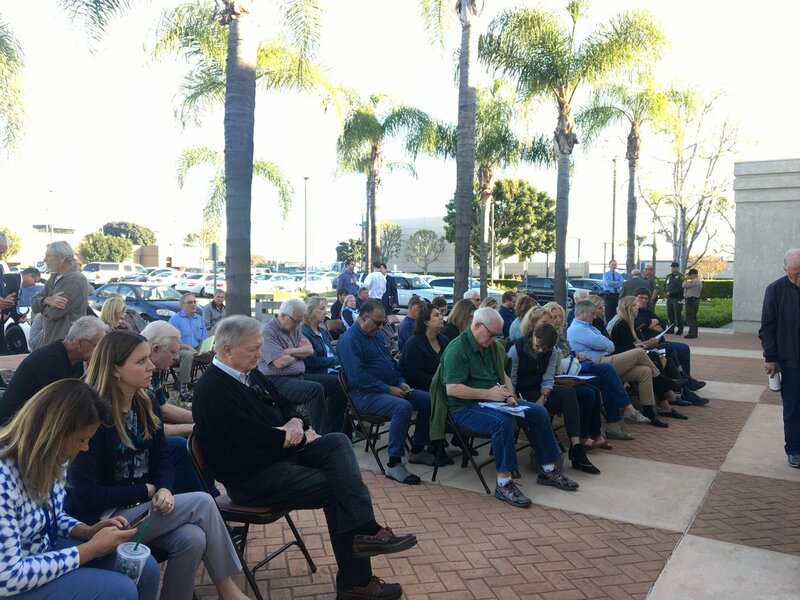 Orange County Fair Board members will finalize their review of the controversial bid by Republican appointees three years ago to privatize the 162-acre public fairground in Costa Mesa. We discuss the newspaper barring political ads that challenge politicians by name. Mercy House will receive about $1 million to buy and rehabilitate two homes in the Anaheim area. The newspaper refuses to publish a local activist’s ads criticizing Anaheim Councilwomen Kris Murray and Gail Eastman after the two complained. Orange County supervisors attempted to conduct public salary negotiations with Santa Barbara County CEO Chandra Wallar without naming her. Orange County Supervisors will get their first chance Tuesday to publicly address their courtship of Santa Barbara County CEO Chandra Wallar as they prepare to openly discuss the salary range of their next CEO. The Christopher Dorner rampage underscores why the officers should be allowed to carry concealed weapons while off duty, they say. County leaders officially respond to a scathing grand jury report, and Buena Park spends public dollars to market a private bus line. Linguistic isolation, lack of access to mental health services and cultural taboos are roadblocks for Vietnamese-Americans and other Southeast Asian refugees in Orange County who still suffer from the trauma of war.